One of the questions I am most frequently asked is "how do you choose your colours?". Unless you have had a class or two in colour theory or have an "eye" for colour, deciding what colours to use can be VERY frustrating! 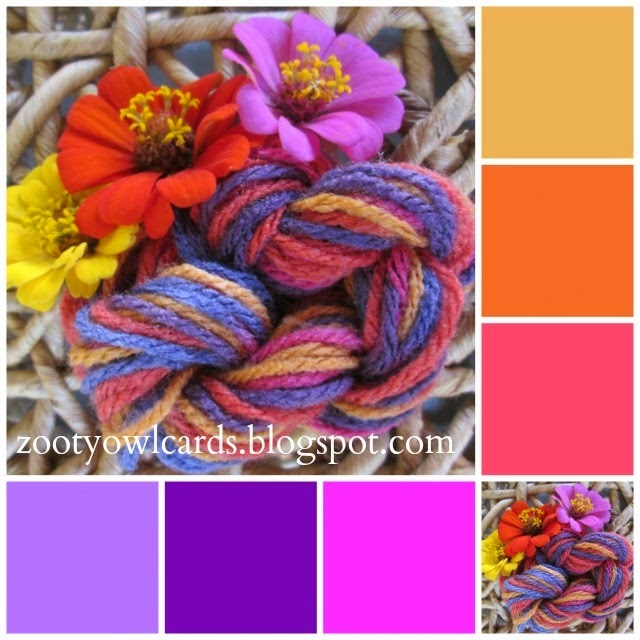 A quick and easy way to build up a small "stash" of colours that work well together, is to pick out a few balls of variegated yarn. Don't think about it too much - just something that catches your eye! 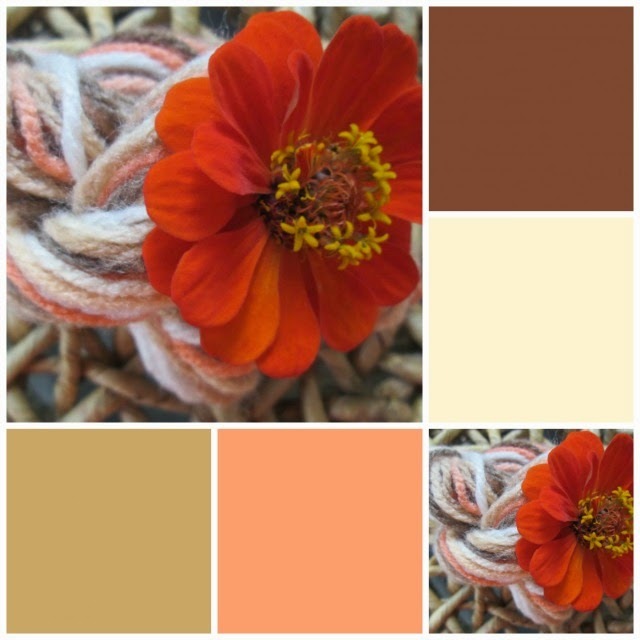 Buy a ball or two of each of the colours in the variegated yarn and you will have a lovely little "no stress" colour palette! LOVE! LOVE! 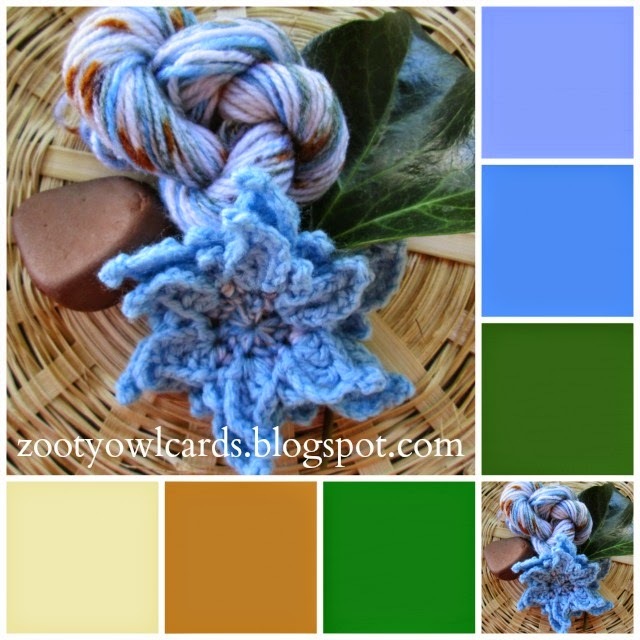 LOVE, variegated yarn!